With only a few weeks left to go until the official launch of the Apple Watch, Tim Cook has revealed how many third-party Apple Watch apps have been submitted. In a note to employees Cook said, "congratulations to everyone who has worked so hard for years to help this product reach our customers". He also revealed that over 1,000 third-party apps have been submitted to the App Store so far. It broke the thousand mark after just four days of accepting apps and the amount of submissions a day have only been growing since. Cook didn't reveal the names of any of the submissions in the note and it's also worthwhile to bear in mind Apple isn't guaranteed to let all the submissions through to the shop front. 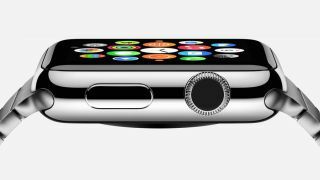 Cook also revealed Apple employees will receive a 50% discount on certain Apple Watch models. All employees will be able to pick up any Apple Watch or Apple Watch Sport with a half price tag under an Employee Purchase Plan or a $550 discount from the Apple Watch Edition, says 9 to 5 Mac. Considering the cheapest Apple Watch Edition comes in at $10k (£8,000, AU$14k) though, we don't expect many employees taking Cook up on the offer. Third party Apple Watch straps are also coming soon.